UPDATE: The game is out of Early Access! Go enjoy this interesting experience! 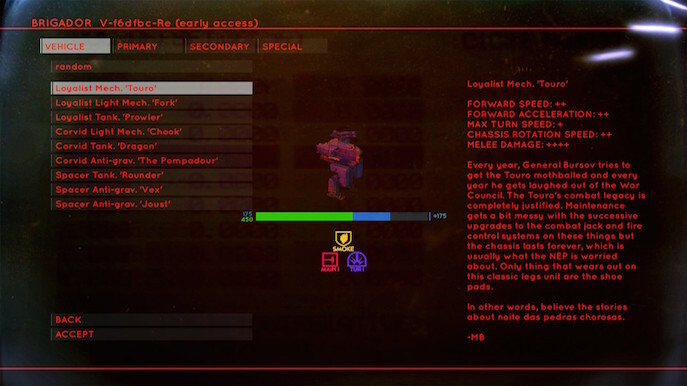 Stellar Jockey’s first commercial title as a team is Brigador, an isometric vehicular action game and built with our own custom engine, and it now reaches Steam’s Early Access program, with constant updates makes the game more polished every time. Offering tons of gameplay mechanics, interactions with the environment, and a whole variety of mechs to choose from. Now let’s hop in to how my experience was with this particular title. Plot is very plain, basically you have to save this place, and destroy stuff. Roll out! I guess! 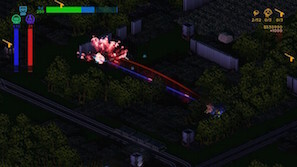 The tutorials are quite complete, as they explain basically every aspect of gameplay and what you can do in terms of interactions with your mech and the environment; in some cases the game teaches different sorts of tactics to dealing with specific foes or obstacles, and teach you different aspects of weapons, such as their reloading requirements, their area of effect, their damage percentage to specific sides of an enemies armor (front being 100% damage, side being 140% and rear can do up to 200%), this can allow you to strategically confront different scenarios and come out victorious with the leas amount of ammo used. Also, some places have explosive stuff! Which can be used to your advantage, just try to stay at a clear distance. In this game your missions are contracts, and for each you can choose the mech (vehicle) that you want, as well as its weapon and special ability load out. I have to say there are a lot of option to choose from, for each category; each vehicle has different movement speeds and damage so I’d recommended trying out some of the slow ones first to test the mobility and then go for fast ones…or just use the Touro from the tutorial, I guess. The game allows for a lot of variety and experimenting with these many options and that’s a good thing! Even though the game is somewhat gentle with the ammo supply, the counter intuitive control force you to deal with encounters the most efficient way possible, at least until you get used to them. 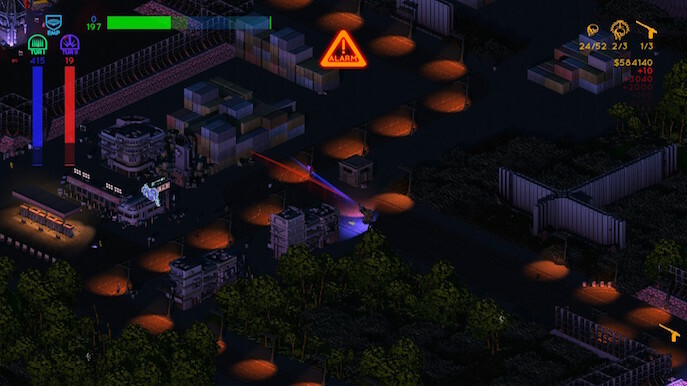 Objectives of a mission usually make you destroy something in specific…or everything. 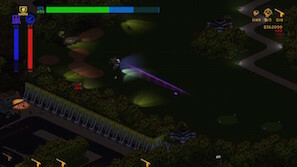 However once in a contract you have some sort of directions to point where to go, however, the game encourages exploration that allows for probably a more complete play through of the level. Most, if not all of the contracts reward your stealthyness; working through the map to reach certain points without being detected can be challenging, however it is quite funny how you steamroll over hundreds of cars and guards next to them don’t even notice. 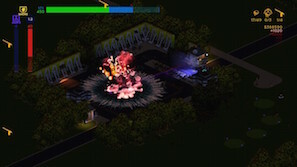 This is the charm of the game: the way you can just destroy everything, how every tile is destructible gives for a lot of freedom, and even though some destructible objectives blend really well with the environment, you simply just reload and keep destroying (again, watch out for the explosive range). The ability to just berserk over an entire city with your tank, or swiftly make your way to different objectives with a speed mech makes the game shine. 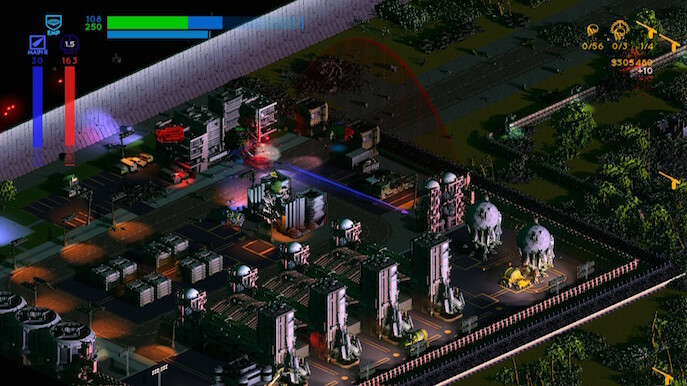 The graphics of the game aren’t exactly appealing; you would expect something close to Mechwarrior and then realize you are playing an isometric mech game. However, the style is not bad, it just feels a bit rough on the edges. 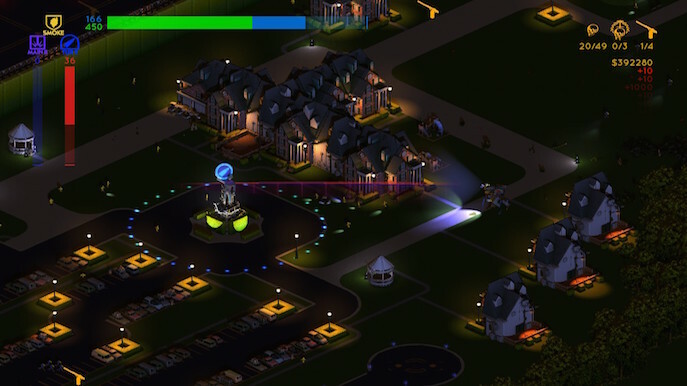 Fortunately the game does a well implementation of lightning and special FXs, whether it is day or night it will show pleasant shadows and correct light sources. Even on Early Access, I really would like to see these graphics pumped up. One of the biggest thing that make me struggle with this game is its logo; the word “BRIGADOR” in that font looks very generic and out of place for this sort of dramatic genre. I like the whole stomping idea but it really needs a rework. The UI design is fairly decent. I like how its simple and tells you enough info to keep you up your ammo and HP, although it may need some re-organizing here and there but it’s a unique style that can be polished to make something nice. This game has quite the awesome retro techno music going on, it truly makes a level more enjoyable and dynamic. My only suggestion would be to make the music tracks cue to specific events and not just loop a playlist around the contract. The game really is a gem; even at its stage of Early Access it can prove to be fun. 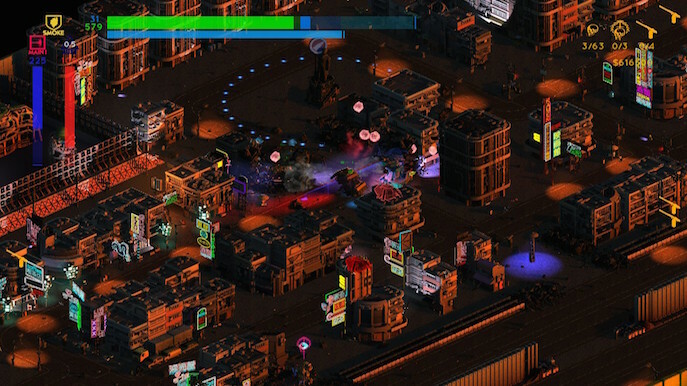 Brigador is the game that shines through the cracks of destroyed obstacles. A game that shows a lot of promise and with a very transparent and worthy dev team, it can become much more than a clunky isometric destroying simulator.